OpenBMC, the open source BMC firmware project, is announcing the general availability of release 2.6, the first community release as a Linux Foundation project. Developed by a global community, the OpenBMC 2.6 release includes hundreds of contributions from several companies. 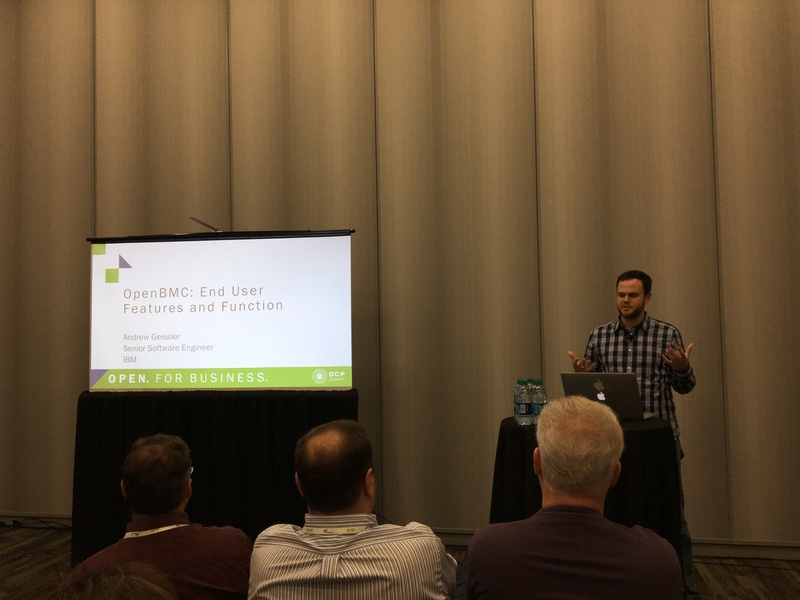 A complete list of OpenBMC 2.6 features is available in the OpenBMC community release notes. 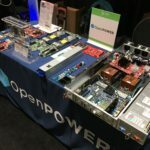 The OpenBMC project is a Linux distribution for embedded Baseboard Management Controllers; for devices like servers, top of rack switches or RAID appliances. The OpenBMC stack uses technologies such as Yocto, OpenEmbedded, systemd, and D-Bus to allow easy customization for your server platform. 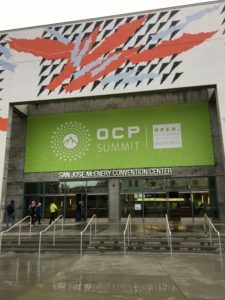 I attended the Open Compute Project Summit this year in San Jose to see first-hand the open computing effort and players. Here are a few highlights from my experience there. 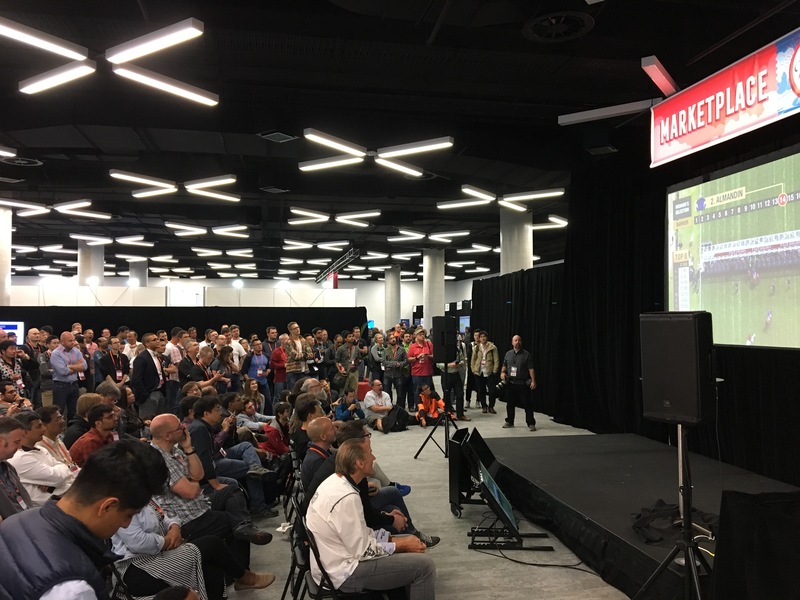 The summit was a usual mix of technical sessions and a marketing expo. It was very well run and organized, reminding me of OpenStack summits. After checking in at the registration desk and getting my badge, I got a cup of coffee and headed off to the keynotes. There was a tremendous amount of surprisingly technical content, which I found refreshing for a conference like this. 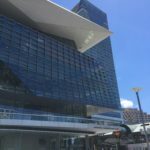 There were really useful metrics of the project, business projections and the like, but it was kept at a minimum. Instead, they dove right into the details, some of which were over my head, at least for now. 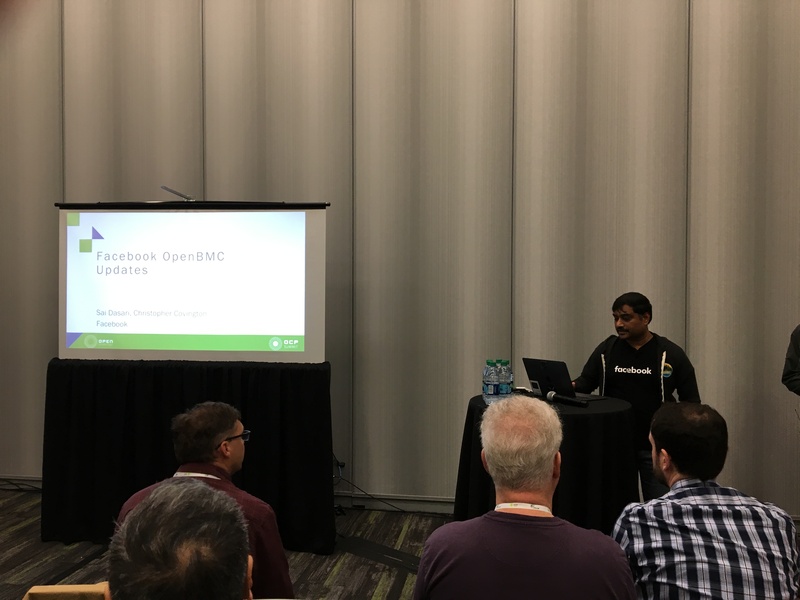 I was attending with specific interest in 2 topics: 1) OpenStack and 2) OpenBMC. 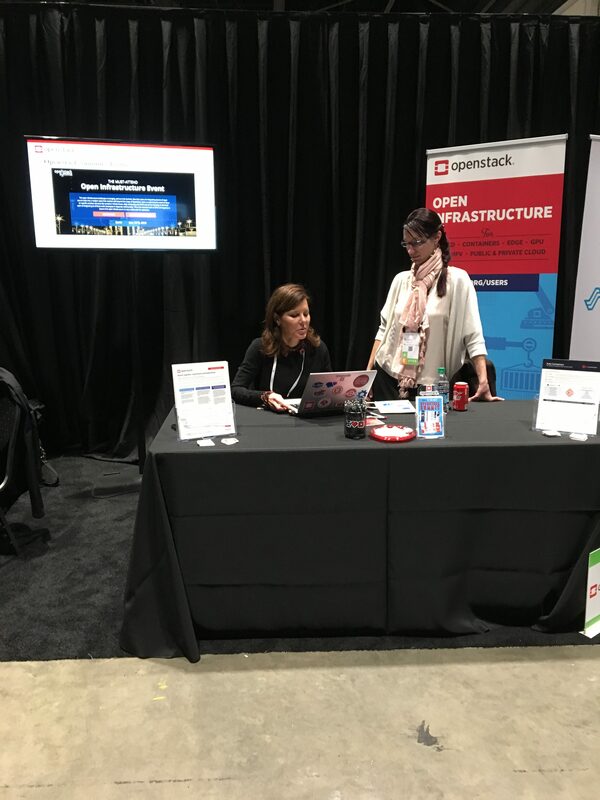 It was really nice to see OpenStack mentioned in a few presentations and to be able to see some stackers in their booth on the expo floor. OpenStack seems to be the defacto standard open way of providing IaaS. 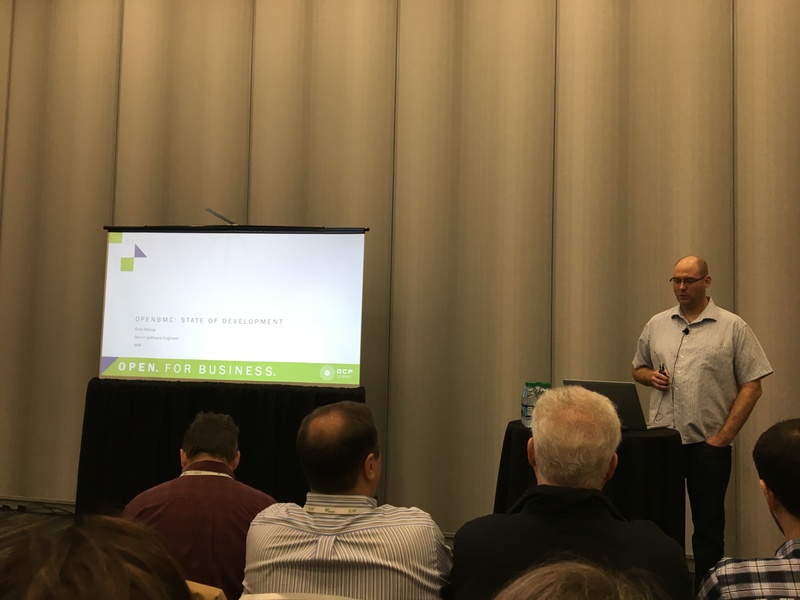 The OpenBMC project has completed the move to be under the Linux Foundation umbrella of projects and that announce also made the keynote and was the subject of several sessions over the 2 day event. Later the first day, after a great lunch with the OpenBMC folks, I went to the Open Firmware session. It was a panel session moderated by Bill Carter and was well attended. The representatives from all the founding Linux Foundation OpenBMC project companies were on stage, including IBM’s own Brad Bishop. After, it was a great opportunity for me to finally meet everyone that I’ve been talking to on calls for the last several months. I got a chance to walk around the Expo floor for a while and talk to some of the vendors. Honestly, I wasn’t sure what to expect, but it was really quite extensive. There were large booth by all the big companies, and with more than 3000 people attending the conference, it was sometime difficult to get close to some of the more popular booths. Dell was there with a Redfish display running on a Power server. 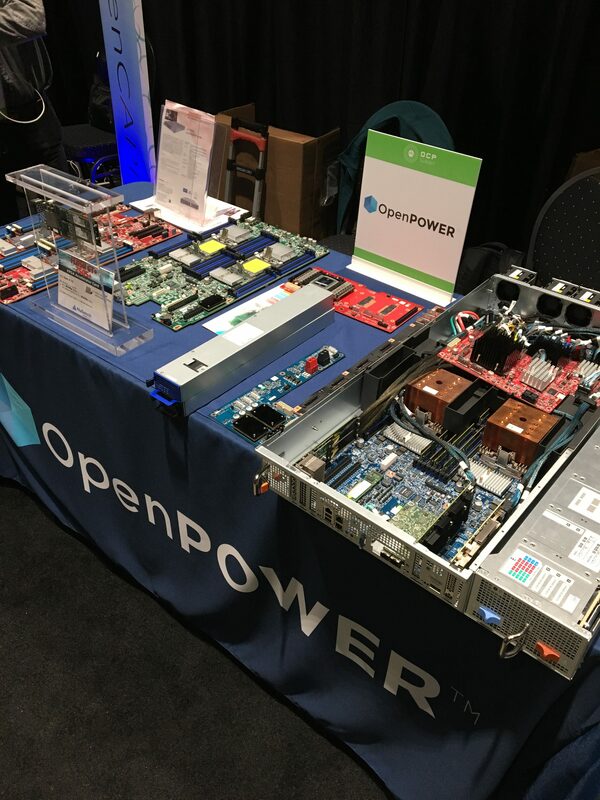 OpenPower had a booth with a few server motherboards on display. 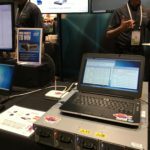 It was really interesting to get back to a hardware-based conference, there were servers, networking equipment, power systems, and of course software too, basically everything I needed to completely geek out. 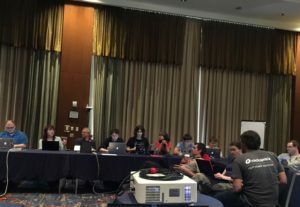 Earlier that morning, I created a hangout chat for OpenBMCers that were attending the summit and it was useful for figuring out anyone that wanted to join up for meals or discussions. We met up after the Expo social that evening and went to a great little upscale Mexican food restaurant for dinner and drinks. I almost tried the fried grasshoppers (chapulines), but just couldn’t bring myself to. It was a great time with great people, it was really nice to get to know them even more. All in all, it was a super use of two days and an event that I wouldn’t mind attending again. That says quite a bit honestly. 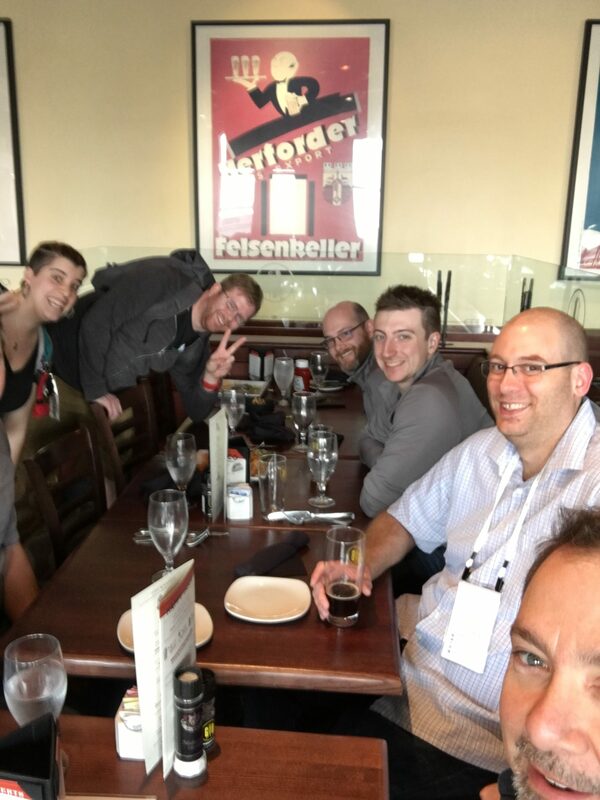 The time in San Jose wound down with rushing off to the airport for a red-eye back home that same evening, but not without first meeting up with my new OpenBMC friends for one last pint. However, it was agreed that pretty much everyone took better group pictures than I do, here’s proof. The week started dreary and cold, the coldest spring November in a decade, but turned out beautiful as the week went on. 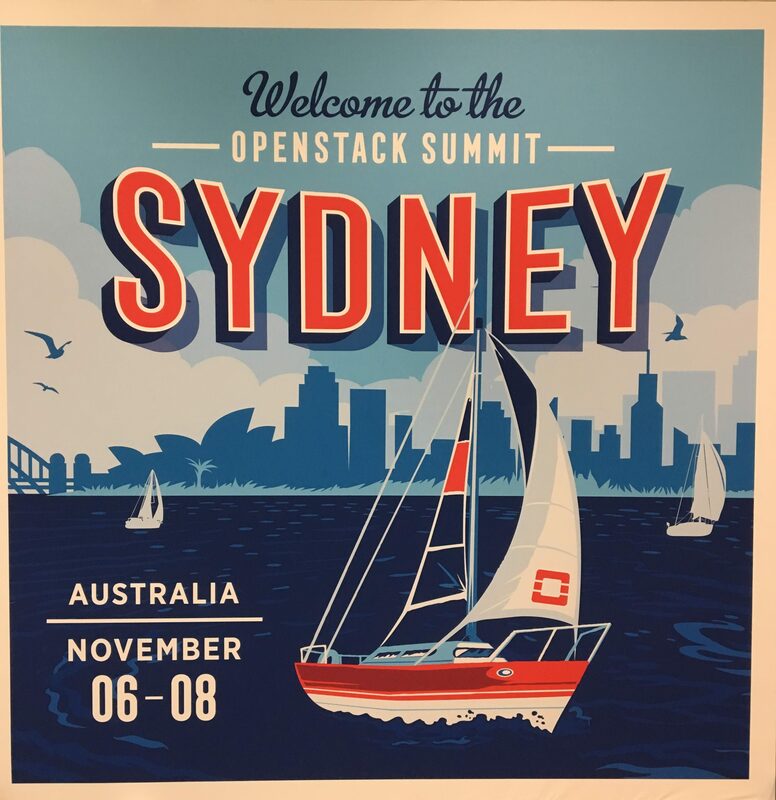 It made it hard to stay inside and focus on OpenStack for the three short days of Summit down under in Sydney. I planned an extra day upfront to clear my head of any jet lag and that was a really good strategy, also allowing for early registration on Sunday. I was not, however, prepared for the jet lag I experienced once I returned home, more on that later. The keynotes, well, meh. They were entertaining, but lacked content or were just too much of a marketing pitch. 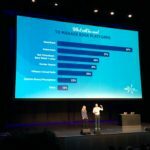 The best info was the user survey overview and it was great to see that there is a strong presence for OpenStack in Australia. As usual, the best sessions were the hallway or beer sessions. Monday night was the traditional booth crawl in the Marketplace expo hall, and that was fun. The food and drink options were numerous and plentiful, and attendance was moderate. It was clear to see that this was a much smaller summit than in the past. I don’t have an idea of what the overall attendance number was, but it felt about like San Diego Summit in 2012. I attended several of the onboarding and update sessions for a few projects and was pleasantly surprised at the progress being made. 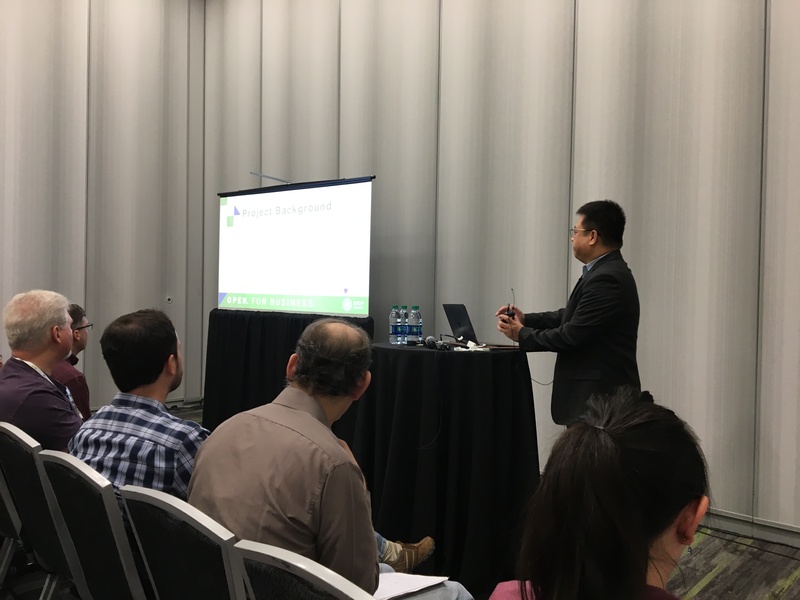 The Kolla onboarding session was done by Jeffrey Zhang and offered a good overview of the project with plenty of technical content. 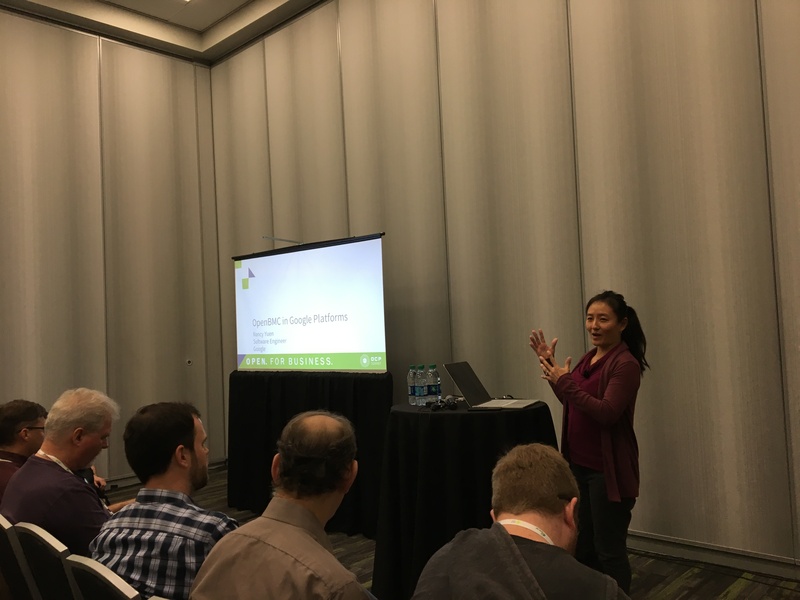 It was nice to get a different perspective and I learned much more about the configuration of kolla-ansible deployment process. It was lightly attended, but several interested folks had good questions and all seemed engaged. 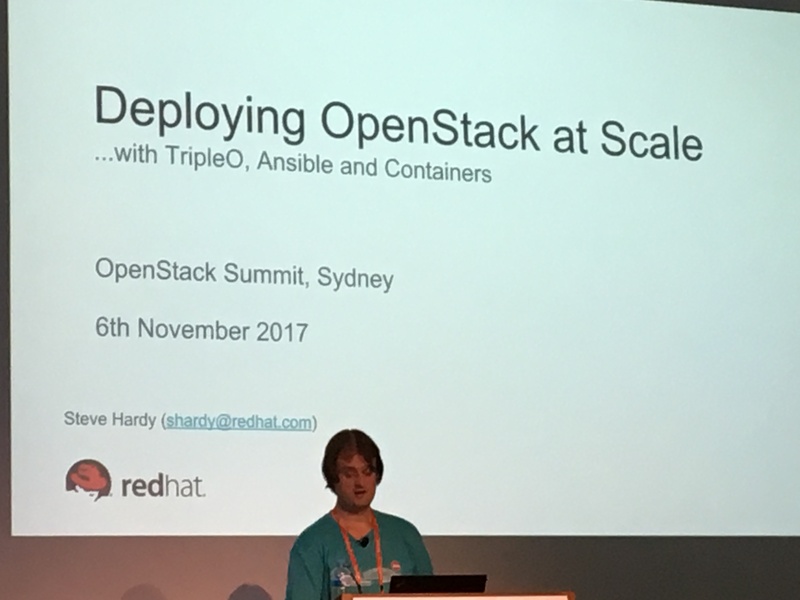 Red Hat’s Steve Hardy did a useful session on an example architecture for using TripleO, Ansible and containers for large deployments of OpenStack. Containers are quickly becoming the new standard for packaging OpenStack services with all their necessary configuration and dependencies and Ansible is also leading the pack in configuration management. TripleO is a somewhat purist view, using OpenStack to manage deployments. It is also the preferred method for getting Red Hat OSP installed in large customer environments. Also noteworthy, the TripleO Project Update, the Kolla Ops Feedback, and Baremetal Server Management with Redfish. I also attended a couple of sessions on community development. There is some really good information and experience being gathered from the boom and now settling of the community. The work seems to be centered around how do we keep and encourage deep development and core reviewers, while also not discouraging part-time or even one-time contributions. There were discussions on mentoring, legal simplification, and other topics to make sure the community continues adding healthy new members. 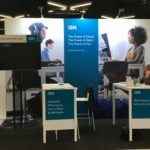 Between the sessions, I spent a fair amount of time in and around the IBM booth in the Marketplace expo. One of the fun events planned in the Marketplace was the Melbourne Cup horse race celebration. It was an all day event for some, dressing in full formal attire, but it was very successful in pulling most all attending into the Marketplace to watch the event. 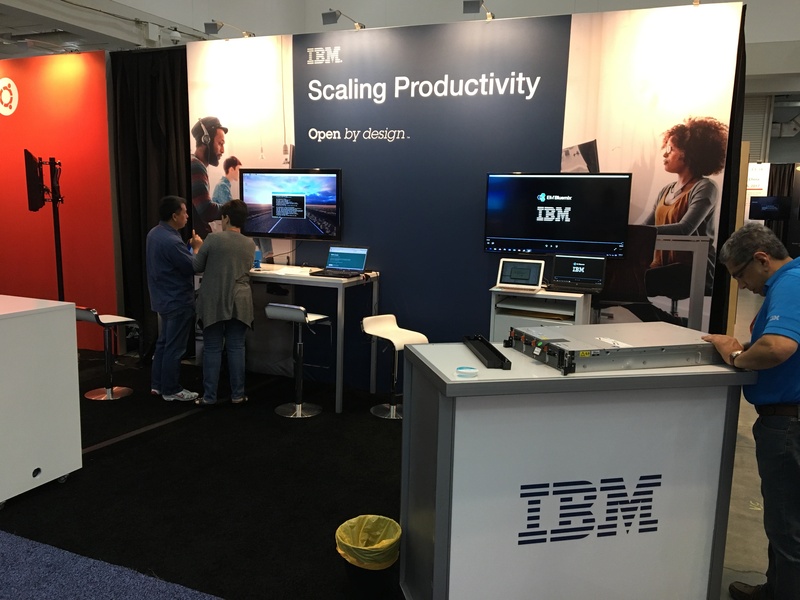 I have in the past had a picture of a shiny Power system displayed proudly in the IBM booth, but to everyone involved in the booth organization’s frustration, it did not make it in time. Darn. 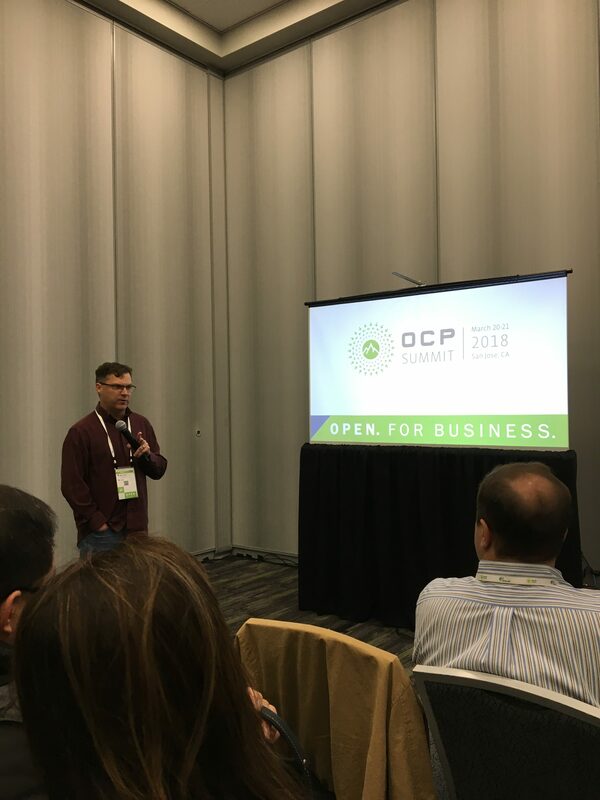 I am still not a fan of the split summit/PTG format, and with the lowest attendance in years, I think the community is speaking but the TC and Foundation are just not listening. 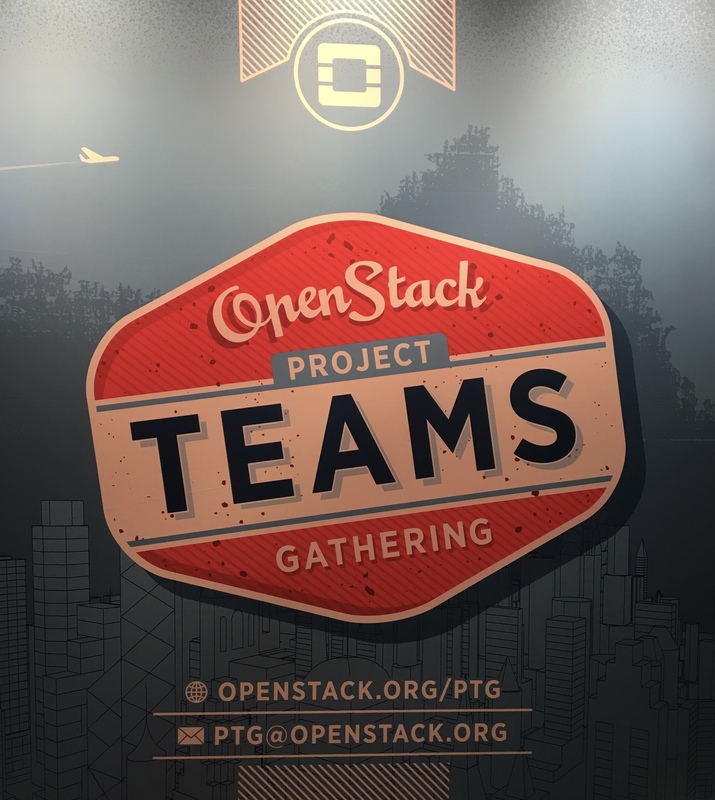 It is time to focus on the future of the OpenStack project and pull the summit and PTG together again. The community has spoken, few companies can afford to continue to send their developers to 4 conferences or design summits per year. 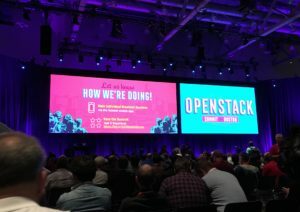 There is a lot of focus on increasing contributions, the feel is like everyone is trying to restore OpenStack to its once former glory, but the days of rapid growth and rabid over-the-top marketing are over. I feel like the project is finally becoming right-sized after being grotesquely over-invested. It is time to embrace the new reality of the size of the project. 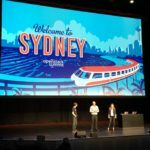 Pull in the core projects and developers, get rid of the silly big-tent, and focus on making OpenStack easier to install and use. Ugh, the jet lag coming home was the worst I have ever experienced. I have heard to plan a day per hour of time zone difference. That might be a bit extreme, but after this trip, I’d have to say it was pretty close. I had trouble restoring my normal rhythm for several days after returning. Going westward to Sydney didn’t give me nearly as much trouble. Maybe it had something to do with the fact that my returning flight left at ~11:30 am and arrived home at ~2:15 the same day after almost a day of travel. Ouch. 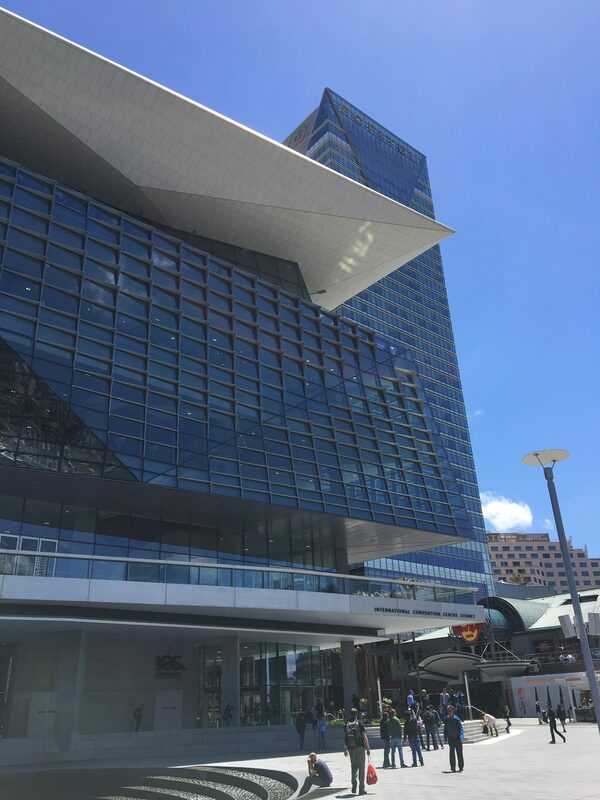 Sydney is a beautiful city and I hope to be able to return some day. 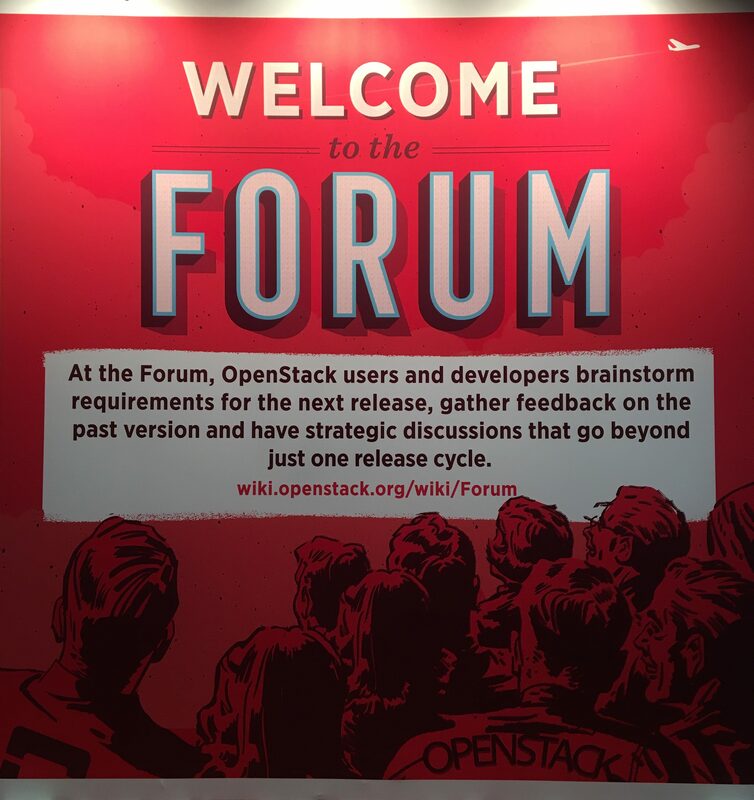 I’m looking forward to seeing OpenStack continue as the framework for open cloud resource management. See you in Dublin for the next PTG! 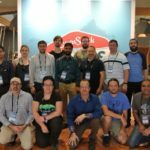 The OpenStack Denver Project Teams Gathering (PTG) was a very busy, but productive week. There were some shining moments and some things that didn’t work very well. Since I only have Atlanta PTG to compare it to, there were things this time that I would like to see done differently. 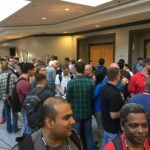 In Atlanta, there were team sessions scheduled all week, with a loose cross-project focus the first two days. In Denver, this was made more formal, where the first two days were only cross-project sessions. The reason this worked in Altanta was because if you were interested in more than one project, you could pick and choose sessions spread out over the whole week that you needed to be in. 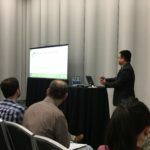 Since the project-specific sessions were only the last three days in Denver, this compressed schedule made it much harder to cover everything. What happen as a result was the first two days were sparsely attended discussions, some went well and others not at all. Some developers didn’t even show up for the first two days making true cross-project discussions even harder. Traveling to Denver was uneventful, although I still don’t much care for flying Southwest. The concept of having to fight for a seat brings back memories of general admission concerts as a teenager and being crammed against a stage. Seating becomes a competition of quickest online check-in that opens 24 hrs before flight time or upgraded “early-bird” priority for an additional cost. Not a good model, and one more thing to have to worry about when traveling. Monday started off with breakfast with fellow IBMers. I then started off with the Documentation cross-project session. There were some good discussions on future plans and lesson learned from the previous cycle. I had lunch with another IBMer and them went to the skip-level upgrades breakout being driven by TripleO. 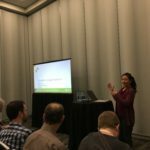 TripleO will be shifting to using container-based services in the Queens development cycle, but the discussion basically centered around Ubuntu and how they handled migrations and upgrades. The highlight of the day was the final breakout session with representatives from the Kolla, Cinder, and Ironic teams where we discussed the alternative Kolla dev environment instead of using Devstack. There were concerns about the available functionality, but the environment is basically there and ready for developers to start using it. The more use it gets, the better it will become. We all agreed that it was too early to start planning for Devstack replacement for upstream CI testing, for projects that would be interested. Right now, the idea is to just get developers to start using the environment to work out any changes that need to be made to make it more robust. 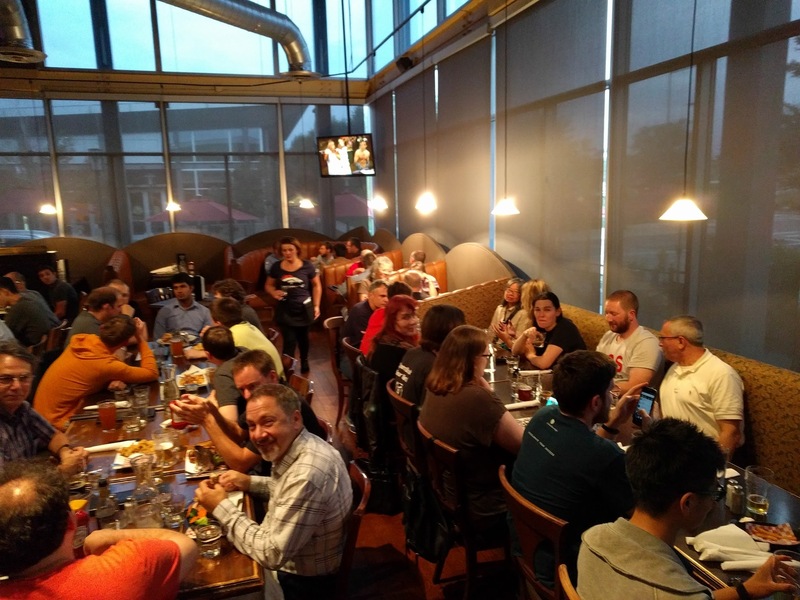 That night, the Ironic team had their team dinner, and even though I have not been as active there this last release, they were all gracious enough to let me tag along. Tuesday morning started with team pictures, some of which turned out pretty good, but I still haven’t found the repository for all of them. A few were posted here and there, but never all of them, not sure why. Here is the pic for the Kolla team, it turned out pretty good. There were silly versions also, but, meh. Next, it was time to find a session that is interesting and hopefully useful. Success. Back to the Documentation team room where progress was made on the remaining focus items for this cycle. Doug Hellman then did a great tutorial session on the new documentation system. He did a great job laying out how it is all organized and how to use and modify the templates. Very useful for the upcoming Kolla work this release. Tuesday lunch and afternoon were a series of very useful non-PTG scheduled impromptu discussions with partners and collaborators. 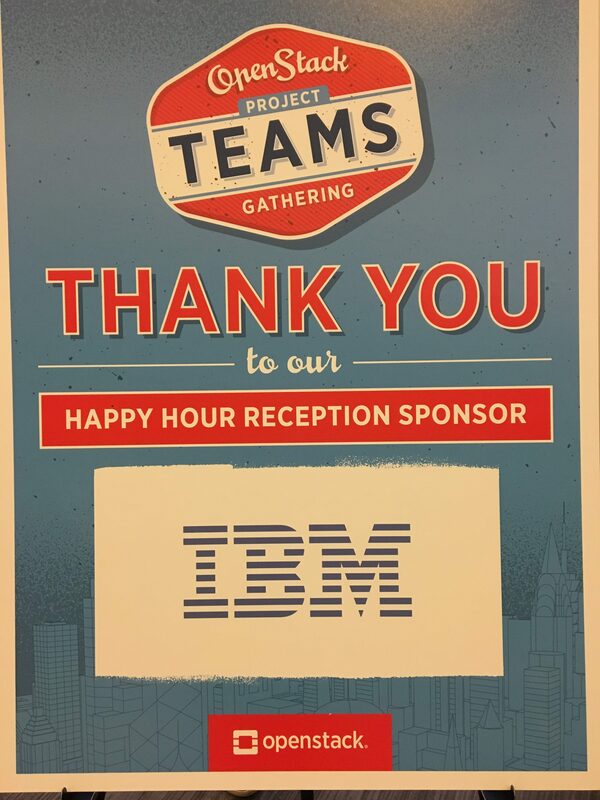 That evening, IBM did a great job sponsoring the PTG Happy Hour Reception social. There was a really nice introduction made by Sean Dague, which reminded me that we’ve been at this for more than 5 years. It is amazing what has been accomplished in that time, but more importantly, the good friends I’ve made along the way. This social was a really good way to chat with all those friends and enjoy a glass of wine and some tasty food. Thanks IBM. Wednesday started the much anticipated team specific part of PTG Denver. More devs arrived ready to dive into their team’s plans. Since Ironic, TripleO and Kolla were happening at the same time, it was hard to balance the presence at these discussions. 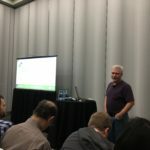 Luckily we were able to have Mike Turek representing our team at the Ironic sessions, so that made it easier for me to focus on Kolla sessions. The session started with a generous time allotted for Kolla documentation restructuring and enhancement. The documentation team came to the session and were a big help getting us organized for a new new table of contents. There was a cross-project discussion that afternoon on TripleO and Kolla collaboration. They went through the release plans to move to using Kolla containers. 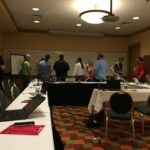 This session went over some of the needs for the team to be able to use the same orchestration playbooks. 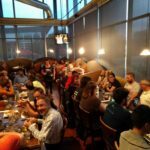 That evening we had the Kolla team dinner at a local BBQ restaurant. Thursday started with a few meetings for downstream topics back at work. I listened in to the Kolla gate discussion, while I caught up on email and followed up with the todo actions from the morning’s meetings. 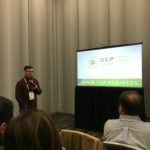 I went by the Cyborg room in hopes of hearing the state of accelerator resources for OpenStack, but was frustrated when I found out that the session had been rescheduled and I had missed it. 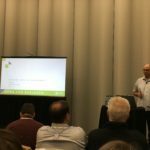 I switched to the TripleO room for a good overview of their plans for migrating to containers. The plan is to at least migrate to containers in the overcloud in the Queens release, and possibly for the undercloud as well. That afternoon, Tony Breeds drove a discussion on multi-architecture support in TripleO. 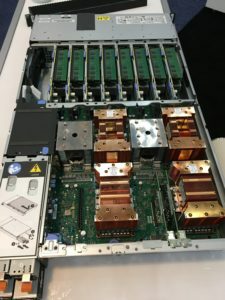 It went fairly smoothly, with the initial plan to continue to support x86 architecture for the undercloud, adding support for a non-x86 overcloud in Queens. We have some work to do here to make sure that the container images are available to those needing them. That evening, we had the LTC team dinner after yet another happy hour sponsored by the Foundation. It was great to get to hang out with the team in a non-work setting and the food was fantastic. Friday was a planned work day for the Kolla team. 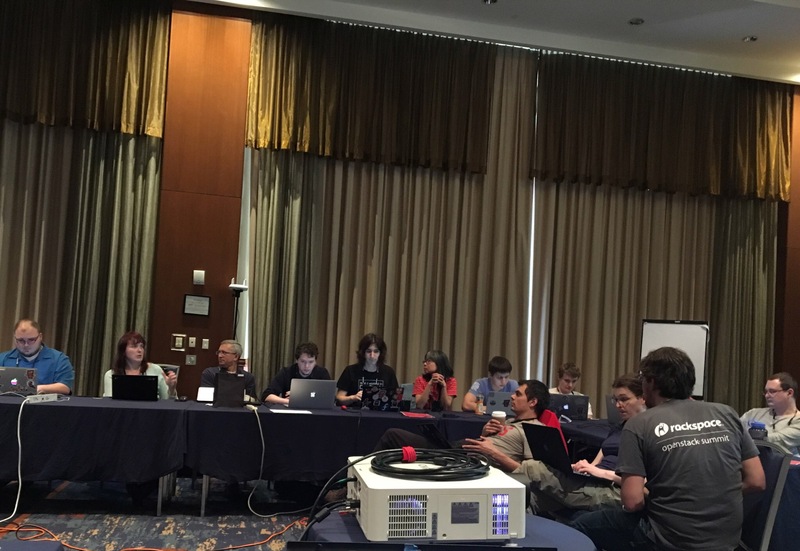 We split up into different groups and addressed topics ranging from the documentation restructuring to upstream testing and Zuulv3. I didn’t get to spend much time with the team as I was flying home that afternoon, but I was able to get started on the patch for the new documentation restructuring table of contents. I stuffed in a few more conversations, had a quick bite of lunch and headed for the airport. In summary, I think the Denver PTG was successful. The layout of the sessions was a little awkward, but worked fine. There were complaints about the venue and the train noise, but they never really bothered me. As usual, at any OpenStack event I have been to, the best discussions happened outside of the scheduled topics. 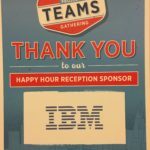 The best parts are lunch and dinner with team members and interaction with IBMers that I never get to see face to face except at events like this. Next is Sydney for Summit and then, the just announced location of Dublin for the next PTG. I’m looking forward to seeing everyone there. I can’t believe yet another summit has come and gone. This was the first summit after the split of Design Summit and PTG and I have to admit overall I felt like it was a success, with some caveats. The event started off Monday morning with Keynotes – some were really good, some well, not so much. There were a lot of stats presented from the user survey about how OpenStack has grown 44%, where 2/3 of the deployments were in production. That’s great news, especially with the right-sizing that has been happening in the cloud ecosystem. 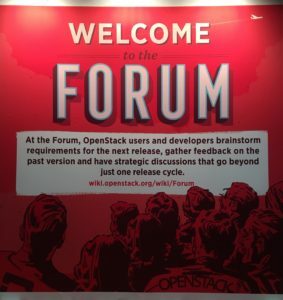 Even though I feel like OpenStack is the right horse to ride, I fear that there is still some needed correction in the number of projects and active contributors to get it back to a manageable size and focus. After several keynote sessions that tested the effectiveness of my morning coffee, I headed off to the booth to see if any help was needed getting up and going before the opening of the Marketplace. 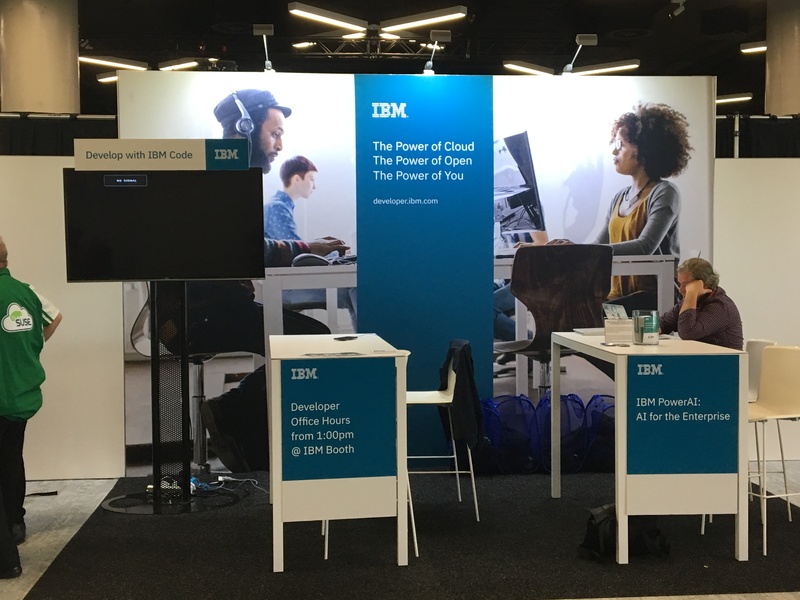 I was determined to increase the Server Group presence in the IBM booth and I am proud of my extended team coming together and making it happen for Boston. I had several team representatives step up and be Subject Matter Experts for Ask-me-about sessions or to give demos in the booth. 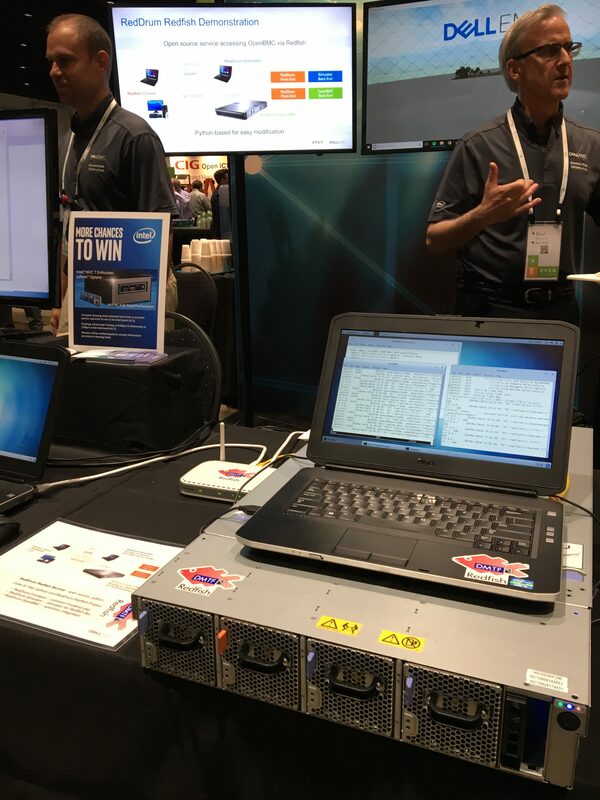 It was a smaller booth, but the layout was good and it was always packed with IBMers and interested Stackers. We had a nice new IBM POWER system on display, a new OpenPower system code named “Minsky”. 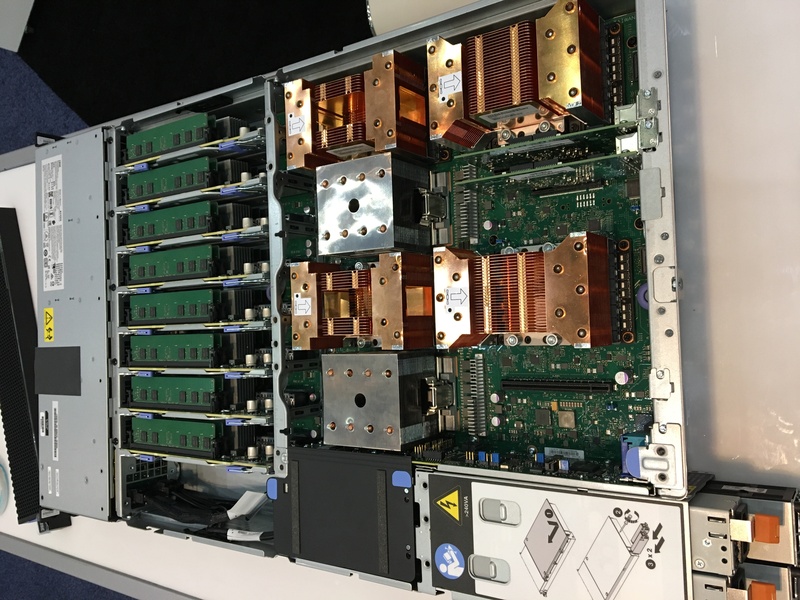 This is a 2 POWER CPU system with 4 NVIDIA GPUs and up to 1TB of memory – all in a 2U rack. There were always folks around drooling over it’s serious computational horsepower. 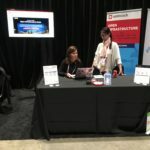 I volunteered to help work in the booth and to also be a SME for OpenStack support on OpenPower systems. 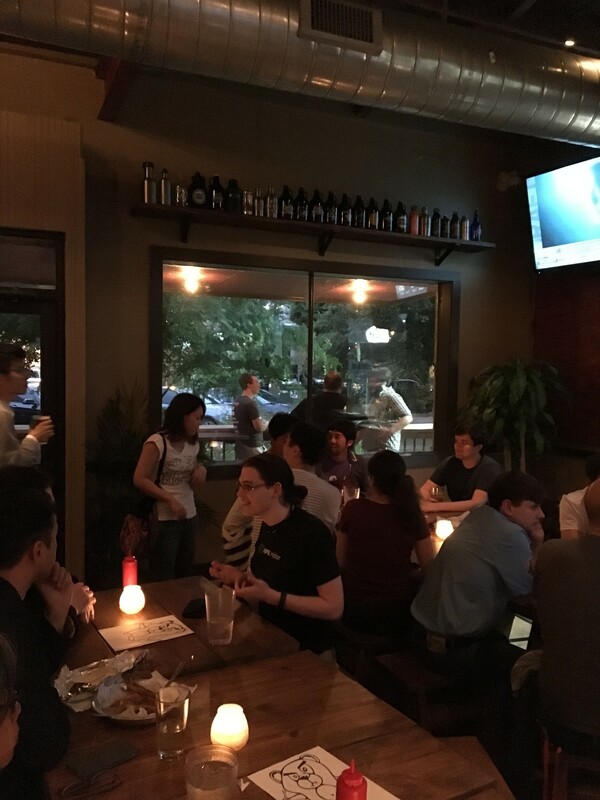 We also had other teams represented from the IBM Open Systems Development/Linux Technology Center there to answer questions about Neutron (networking), Ironic (bare metal provisioning) and Trove (database as a service). I was able to watch several of the demos and the team did a great job. Monday concluded with the traditional “Booth Crawl” where vendors sponsor hor d’oeuvres and drinks. Since the team was all there working the booth, we didn’t get to wander around and partake, so afterwards we went across the street and had a team dinner at “Whiskey”, a fun, noisy college pub with great food. I did get a chance to go to a few sessions Monday afternoon, but they were somewhat hit-or-miss. The Ironic Dev-Ops feedback session was good, but there were few sessions overall for Ironic, one of the projects I have been involved recently. I went to one of the Ubuntu sponsored sessions that was supposed to be on GPUs and it wound up just being a LXD sales pitch. I’m an Ubuntu fan and user, but that was a bummer. 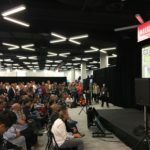 Tuesday also started with keynote sessions, but I had a harder time seeing the importance for an OpenStack developer, with the exception of the Interop Challange and their attachment to Cockroach database. 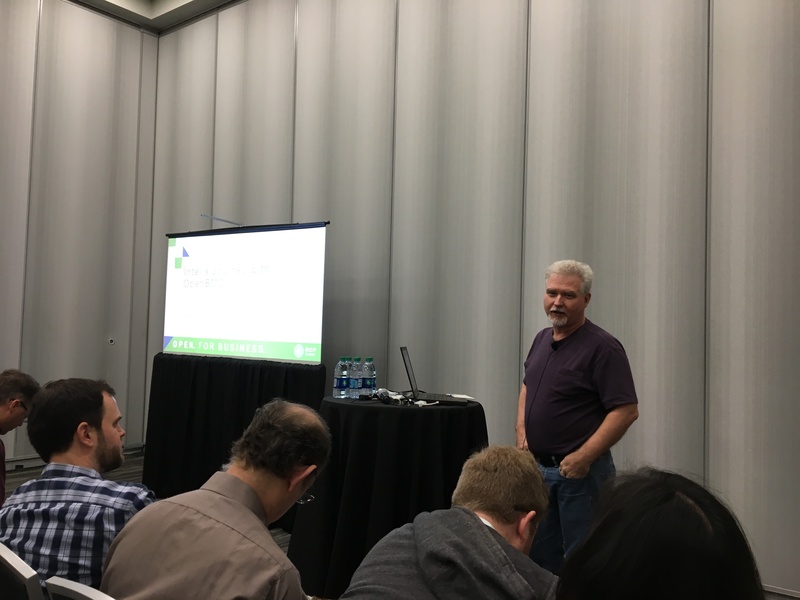 I then attended a session from AT&T on their container strategy and how OpenStack is used. 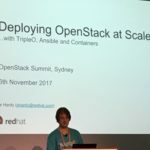 They had an interesting 3 pronged approach, with valid cases for each environment, interesting real-world use of OpenStack and containers. The afternoon was spent chasing down Ironic sessions that ended quickly and working at the booth. 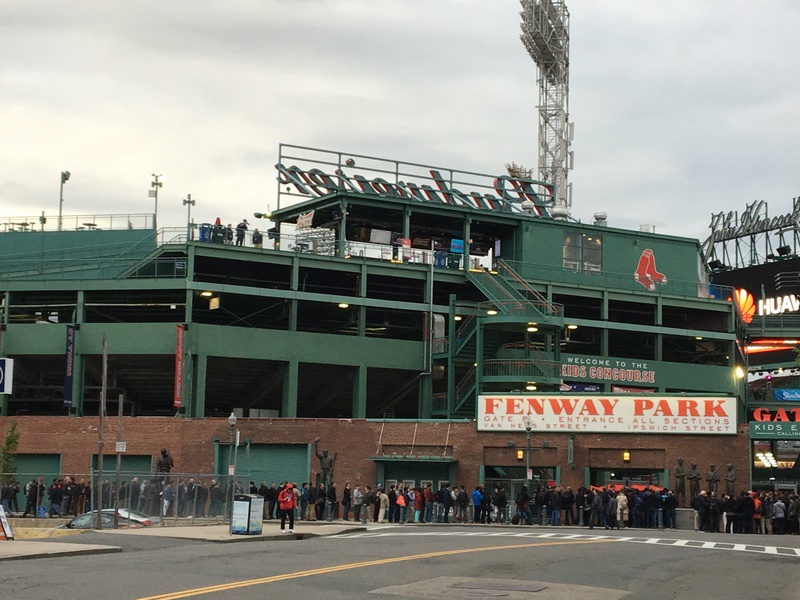 That evening was the one public event at the nearby Fenway park. They obviously spent a lot on this event, but honestly it would have been nice to have had a social gathering at the summit hotel, in a ballroom for instance and save the money. 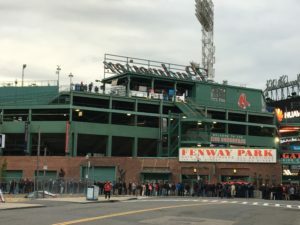 Don’t get me wrong, Fenway was amazing, but it was outside, raining, cold and on top of that, there was no provided transportation from the convention. It was only a few blocks, but in the cold and rain. It was a great experience to see the park and have some park grub, but other than buy beers, there wasn’t much to do. I decided that since I could by myself a beer in the dry warmth of the hotel lobby, I decided to call it an early night. Wednesday was much more useful for me as the summit transitioned into being more Forum focused. 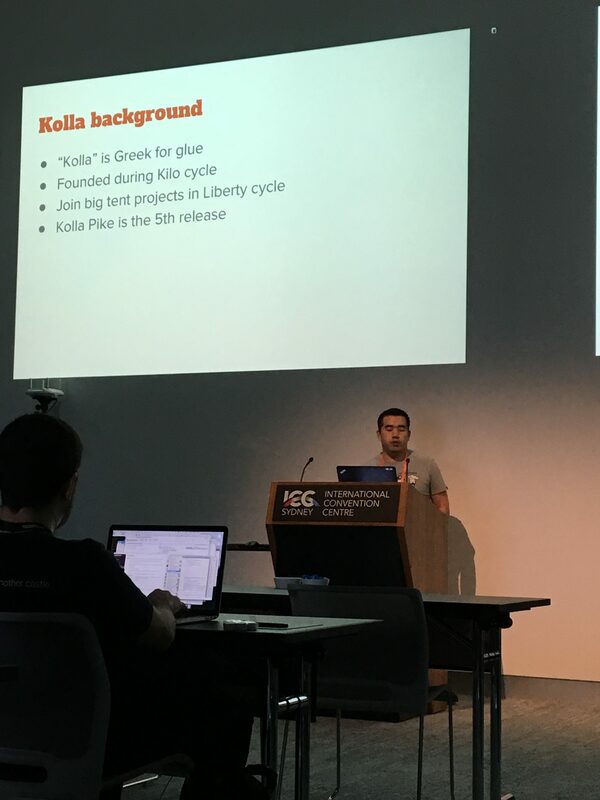 I attended the Kolla project onboarding session. It was the highlight of the show for me since it took the basic understanding that I had of the various parts of Kolla and stitched them all together. It started high-level with an overview of the components and what they did, a review of the project goals, and then deep-dived into the details of building and deployment. My only wish was that the session was recorded for future reference and sharing. The Forum sessions Wednesday and Thursday were useful, getting closer to what I was hoping for – something like a all-in-one midcycle. But some of the sessions could have been more useful if there was less of the “experts” pontificating the latest buzz-words and more getting down to the business at hand. My favorite buzz word from the Forum: “echo-chambering”. 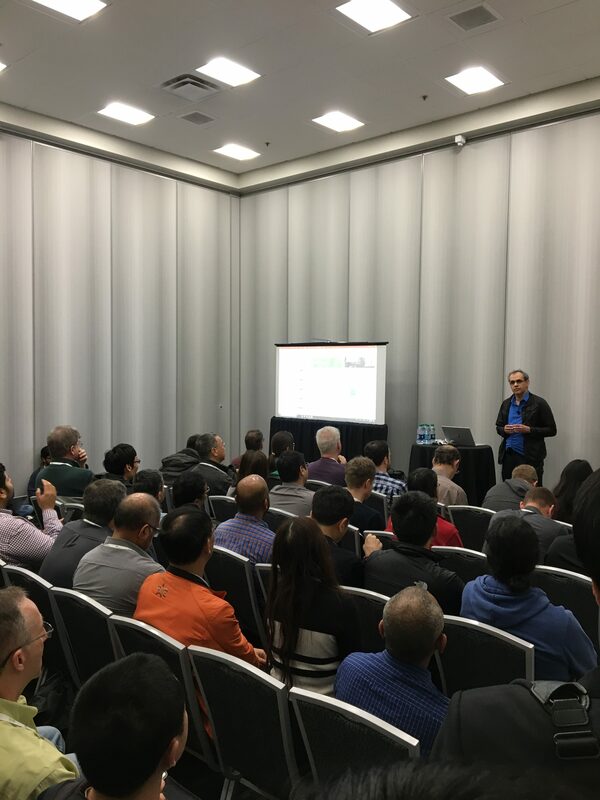 One session that was particularly interesting was one on comparing Kubernetes and OpenStack resource management. It was a useful comparison with clear slides and excellent description. The session slides are available and recommended. I especially enjoyed the glossary comparison of terms and parameters from each environment. Overall, like I said, it was a good summit. I learned a lot and made new friends. But, I feel like it needs to have more direction in the selection of sessions. For one, pick a much more diverse set of session topics. Every other session was on Kubernetes. I know there were more diverse sessions proposed. Another, feel free to call it an all-in-one mid cycle instead of the Forum. That, with the Ops, Onboarding and Marketplace would make for a great event, and retain the usefulness for a quiet design meeting with just the developers. Next stop: Denver PTG! 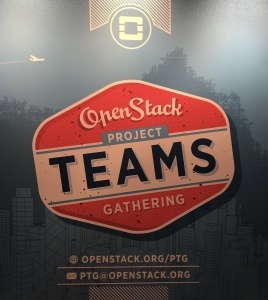 The very first OpenStack PTG (Project Teams Gathering) in Atlanta has now come and gone. I have to admit, I was somewhat skeptical about whether splitting the design summit and the main marketing/user summit was a good idea. I have seen these kinds of splits happen in other open source communities with disastrous results. However, at least from the perspective of pure design effectiveness I have to concede that Atlanta PTG was an enormous success. We will have to see what kind of impact this split has on the Boston Summit “Forum” in May, whether we will have enough critical mass to have a meaningful marketing and end user convention. 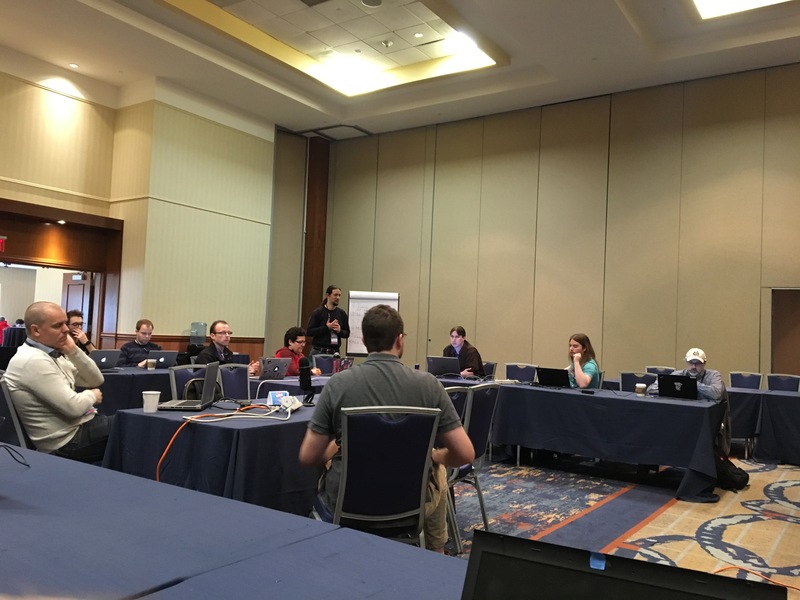 From a experienced developer’s perspective, the Atlanta PTG was a success. The location was somewhat difficult, not because it wasn’t a nice hotel, but because there was not any grocery, shopping or restaurants close. Because of that, I’m not sure they achieved the goal of holding the event at a lower cost to the developer. I can imagine that someone attending might feel lost if they are just getting started and looking for some context or are not yet technical or wanting to contribute. There were no keynotes or getting started sessions. 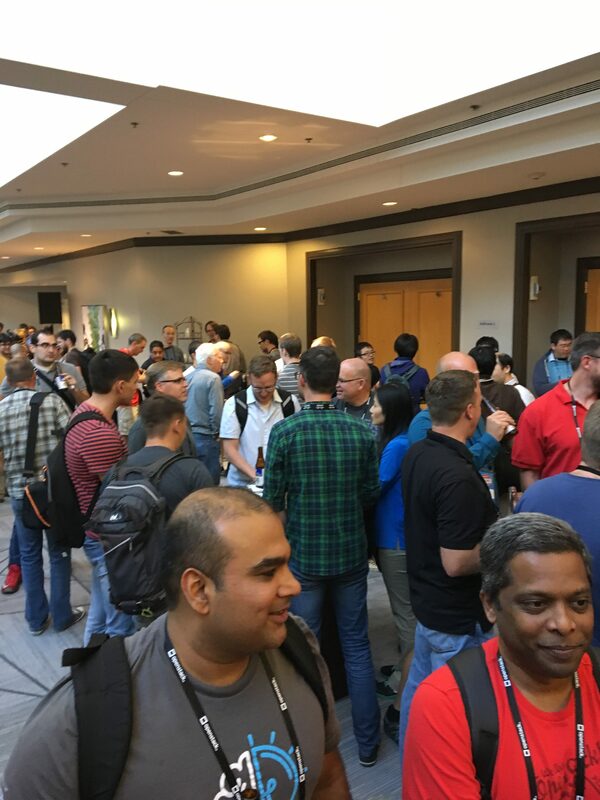 The assumption was that everyone there was ready to spend the week working on defining exactly what would be delivered in the Pike release of OpenStack. 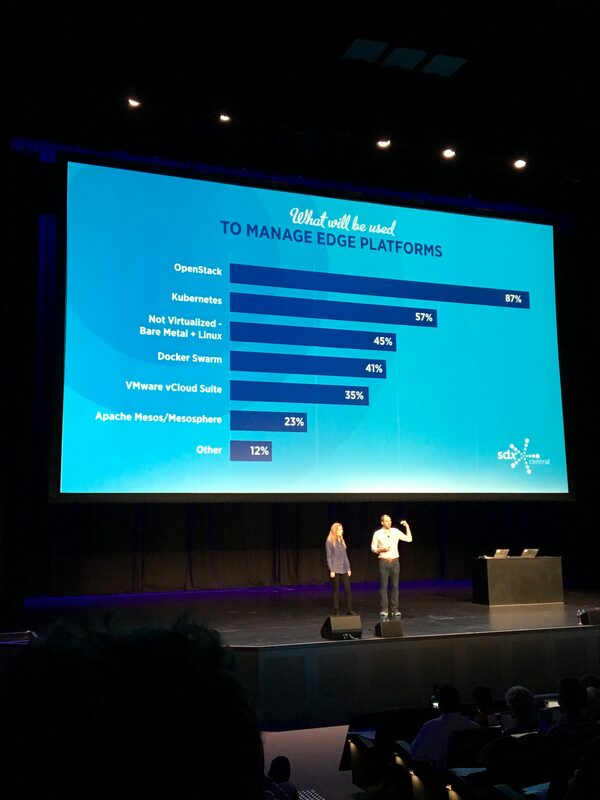 It actually reminded me of the earlier summits or of UDS/Linaro connect sprints where the marketing hype was very limited and the focus was on teams working together. All in all, I’d say it was a very good first effort. The PTG was also scheduled well, at least for me. I was able to divide the week up into the two projects that I will be spending the most time in for the Pike release cycle. I spent the first two days of the PTG in Kolla. I spent the rest of the PTG with the Ironic team. The cross project meetings the first part of the week at PTG were also very productive. It was great to be able to go across the hall to another ballroom to grab someone out of the Neutron or Nova teams to ask them a question. I was trying to save money and flew in very early Monday morning. In retrospect, that was not a wise move. I affirmed that I really do not enjoy driving to the airport at 3:00am, and it made the day very long. I would have been much better equipped to have meaningful discussions if I had made the trip a day or more in advance. It also put me in a sleep-time deficit for the week that was difficult to make up. Lesson learned. 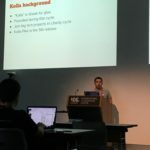 The Kolla team started off the first of two days discussing repositories, which I missed due to traveling that morning. I arrived in the second half of the documentation planning. I found this session to be a good gentle warm-up to the deeper topics the rest of the day, especially for someone that had been up since 2:45am and just got off a train from the airport, luggage in tow. The Kolla team was well organized heading into the PTG, with good description and back-story for the session topics. 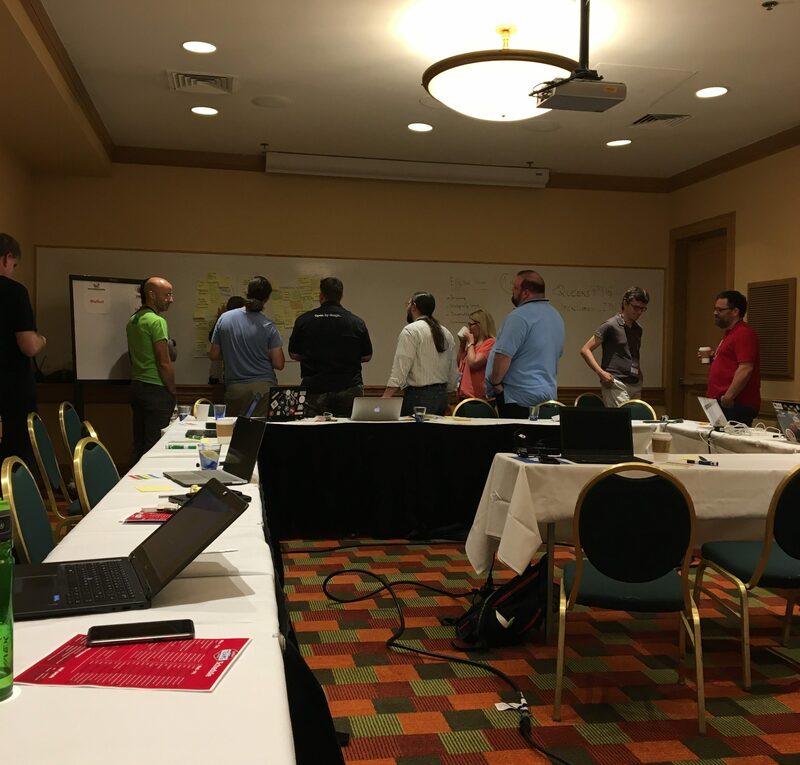 For me the best design sessions always seem to happen in the halls between sessions, at lunch, or at impromptu break-out sessions with a few developers. This was the case for working out the details for supporting non-x86 hardware architecture for Kolla. 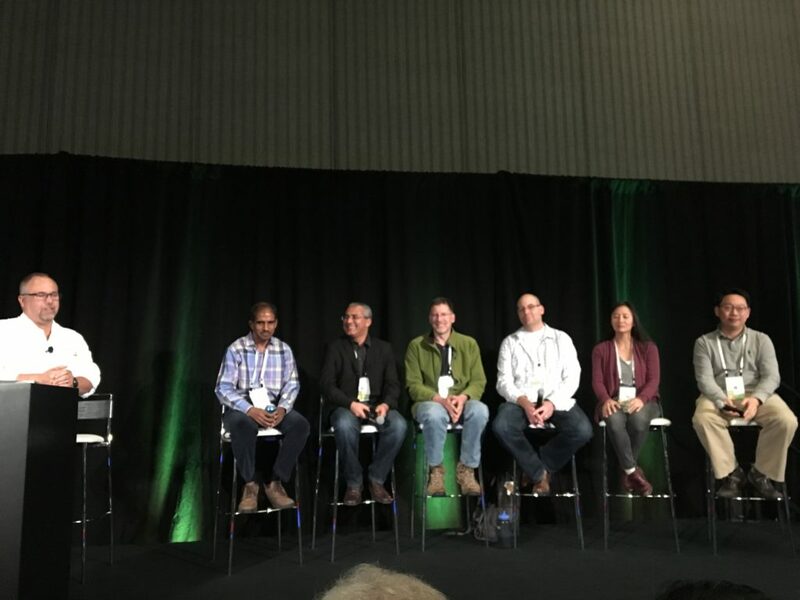 The Linaro team has been actively helping OpenStack stay architecture platform independent. The first day of Kolla discussions concluded with a team dinner at the Atlanta Hard Rock Cafe. I really wanted to go, but I was so tired that I knew it would be better for me to just go back to the hotel and call it a day. Tuesday’s Kolla sessions started off with discussions on container distros and image refactoring, topics that I found especially useful and hopefully made meaningful contributions to. There was a brief discussion about the multi-arch support, but it was basically an acknowledgement that, ok-you-all-have-that-covered, let-us-know-how-to-help kind of thing. There were really good brainstorming and framing discussions on brownfield migration and how to test that with multi-node gate testing. I was able to introduce myself to most all of the cores and the PTL over the course of the day. 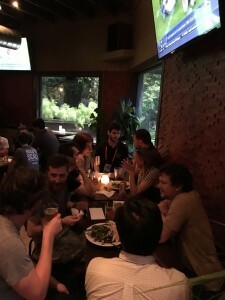 That is one of the great things about these meetups, is to be able to meet and know that person that you interact with in IRC. The other great thing that happens is that I get to meet IBMers that I have worked with for years and never met in person. Tuesday, I met and had lunch with the PowerVC team and others from IBM. Wednesday started the Ironic team discussions and after introductions we dove right into a Pike priorities overview. Driver composition came up and the need to maybe auto generate a capabilities table in the driver documentation. The discussion moved fast Wednesday and covered a lot of ground. 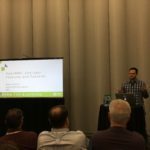 Python 3 compatibility is a common theme and was discussed, as well as a session on CI testing. 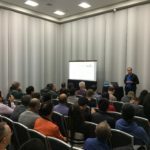 I was attending this with Mike Turek, also on my team in the IBM Linux Technology Center. 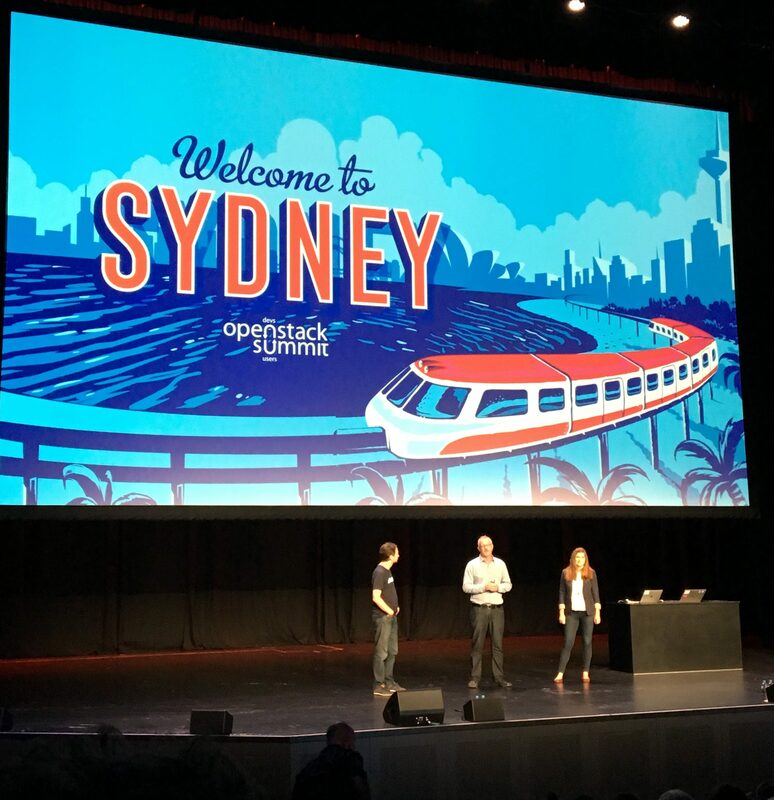 It was his first OpenStack event, but you wouldn’t have known. He jumped right in and volunteered to be the scribe for all the etherpad discussions and did a great job. A large part of Thursday discussions centered on future work for Pike and much deeper design discussions. As usual for multi-day design summits, my attention span and processing ability were diminishing. The day concluded with the team dinner, which unfortunately, Mike and I decided to not attend. It was far away from the downtown area and not easily accessible from public transportation. Since I was on a very limited budget for this trip, I decided not to get a cab or worse, rent a car. I didn’t find out until too late or I would have arranged to get a ride with someone else. But, on the upside, I was invited by Miguel Lavalle to crash the Neutron team dinner, so Mike and I went and had a great time and good food. Friday was a short day for me as I was leaving early to catch a flight back home. It was an Ironic working session that started with a reflection discussion. It was a usual what worked, what didn’t session, and the usual topics came up, how to onboard more developers and encourage core mentoring. It was brought up the OpenStack is going through a re-adjustment period, I like to think of it as a right-sizing from the massive over-hyped beginnings of the project. Core reviewer mentoring is going to be a big concern for several projects where they are down to just a few from debs being moved off to other projects. About that time, I gave in to the growing brain mush from the design week and headed to the airport. All in all, I think it was a success. I look forward to Boston and seeing what will need to be adjusted there to continue forward with the split summits. Stay tuned. 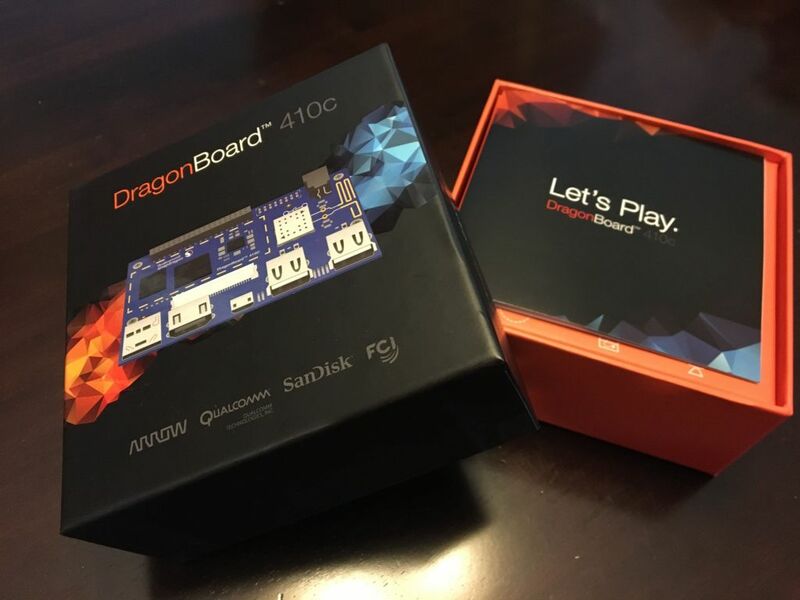 I finally got around to ordering a new dev board, the DragonBoard 410C. 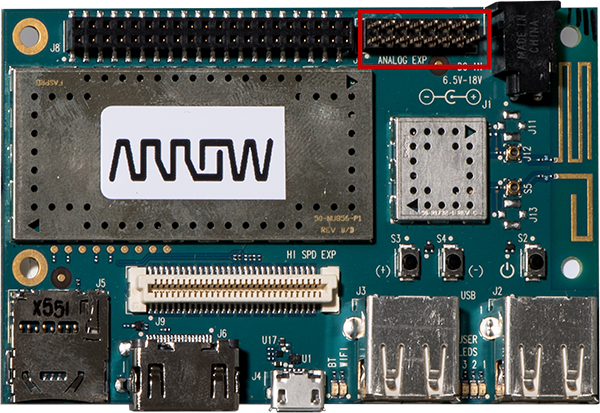 I liked the idea of the open platform so I ordered it from Arrow Electronics. It got to me really fast, I ordered it and it was delivered 4 days later. It was packed very well, and arrived safe, so nothing but praise for Arrow. Over that past few weeks I have been learning more about the DragonBoard 410C, attending the weekly 96boards office hours. I highly recommend them if you are even slightly interested in the 96boards or ARM-based SoC dev boards. There is a wealth of experience presented every week and the topics are very informative. I have several ideas for this board, but one of them is probably no surprise for anyone that has followed my Linaro blogs, namely Linux audio experiments. Other ideas include trying it as an OpenStack compute node, media streaming host, and maybe even an OpenBMC sandbox. I started doing research on what was possible using this board and immediately ordered one. However, I then found this page and I realized that my board did not have the audio pin header installed. I was actually surprised that this was even an option and not soldered into every board, since it might add a whopping $.50 to the cost. My board was already on the way so I couldn’t change plans. I was slightly disappointed that I hadn’t found and purchased the specific DragonBoard 410C Audio. As it turns out, this audio bundle is a really good value, for just $14 more you get the pin header pre-installed and a power supply. No big deal for me since I already had several appropriate power supplies. I have a lot of soldering experience, but soldering a dev board and potentially bricking it is somewhat unnerving and I would have gladly paid a few dollars for it to have been done for me. I decided to wait till the board came and see what it was all about before ordering any mezzanine boards or headers required. Next, I’ll share my experiences with bringing up a Debian environment to see what the board will do, stay tuned. OpenStack just announced it’s 14th release, code named Newton after a historic house in Austin Texas. 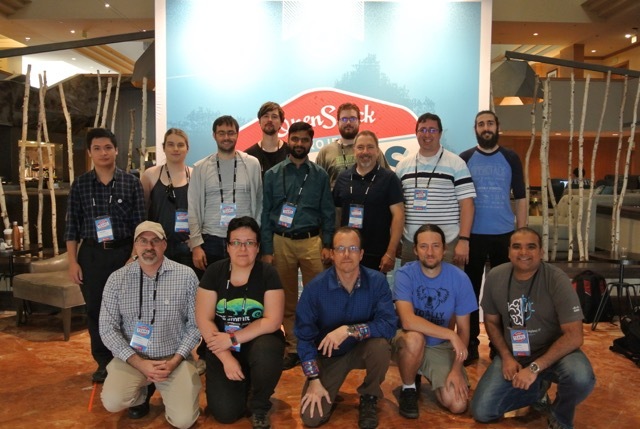 More than 2500 developers contributed to the release, but specifically, I’d like to highlight some of the contributions made by my team in IBM’s Linux Technology Center. 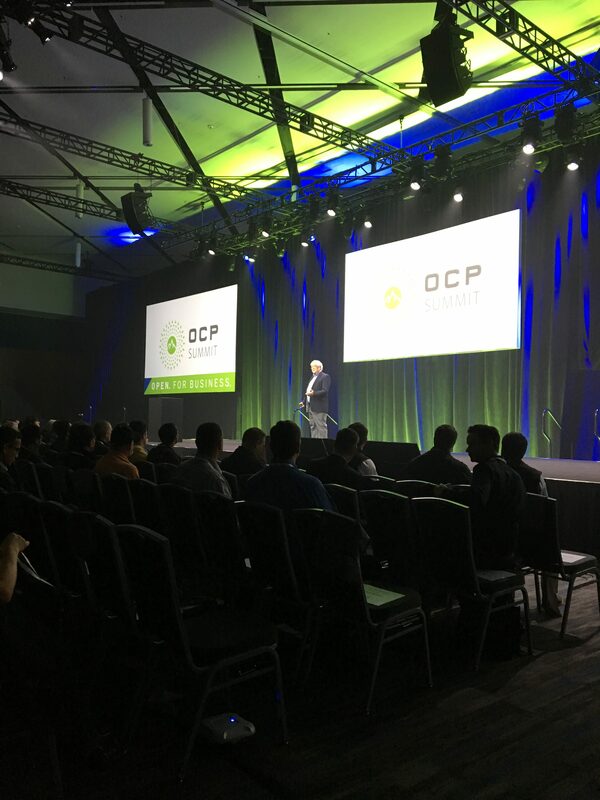 We are involved in several key areas supporting scale-out POWER systems on the KVM hypervisor as well as just working in the community to make OpenStack better. 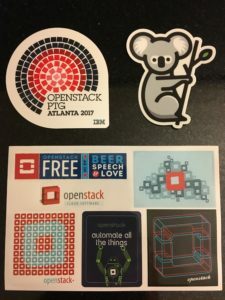 We have been active contributors to the OpenStack community since the Folsom release and continue to share our experience with new teams getting started both internally to IBM and externally. 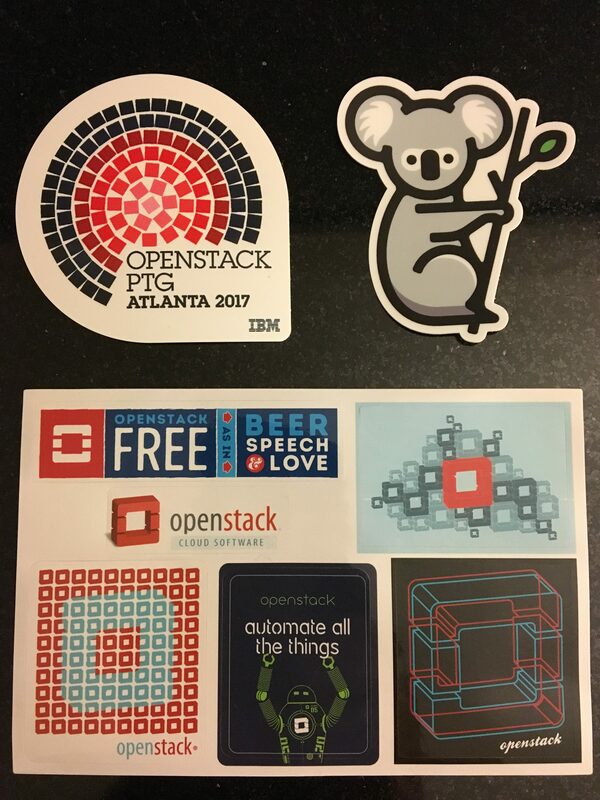 I’m proud to be a part of the LTC and for our continued contributions to the OpenStack project. I’m looking forward to what we’ll accomplish in the Ocata release! 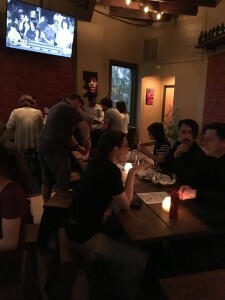 Since I was local, I decided to host an Ironic Social so everyone had a chance to get to know each other better outside of “work”. It proved to be harder than I thought to find a place close to the convention center with a wide selection of beers, wine, and mixed drinks, and a varied-enough menu to satisfy those with dietary restrictions, and large enough to handle 30-40 people at once. 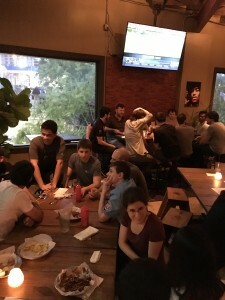 I talked to several places and decided on the Waller Creek Pub House. It was bar-service only which seemed to be alright, despite some lines at first when 30 people showed up and wanted to order a drink or some dinner. The staff did their best to accommodate us along with their normal Thursday night crowd. It was well attended with at least 30 showing up. I hope everyone had a good time, I certainly did.